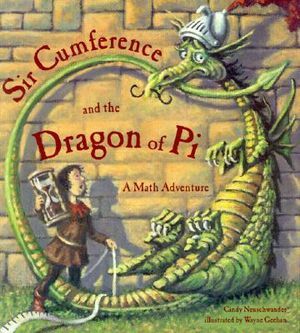 Pi Day – What’s this all about? It’s a celebration all about Pi! Pi – represented by the symbol π – is one of the most widely recognised mathematical constants. The circumference of a circle equals π x the diameter. Pi is an irrational number, meaning it can’t be represented by a simple fraction. The decimals of Pi keep on going forever without repeating. 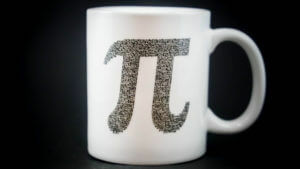 Mug of Pi on Sale! See who can recite the most number of digits of Pi. The following song might help you with the first hundred digits of Pi! Get your school to apply to the Guinness Book of Records to create the longest human representation of Pi! 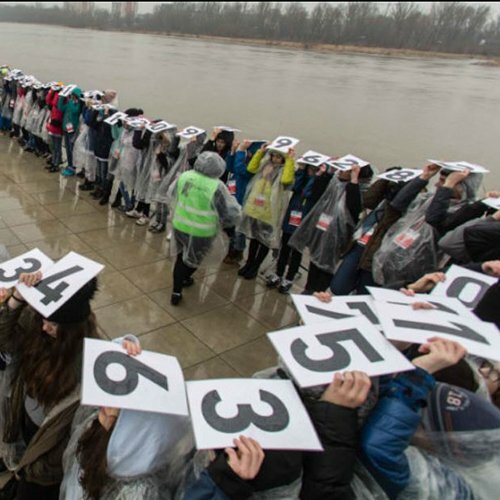 Longest human representation of Pi in 2018 on March 14 in Poland … 627 people! Give your class pie! If you have the facilities, this is a great chance for them to make pie themselves. Make an anemometer and then work out the circumference that the cups travel.The circumference of a circle =2πr. From there you can then calculate wind speed as you now know the distance that the cups travel every revolution. Hunt your school grounds for circles! Make a chain of beads with each colour representing a number. You could also take this to a whole new level with UV beads! Similar to above, you could have student decorate a paper plate with one numeral each and have them stand in a massive circle around your school hall. Create Pi themed Tshirts and have a school fashion parade sponsored by Pi. 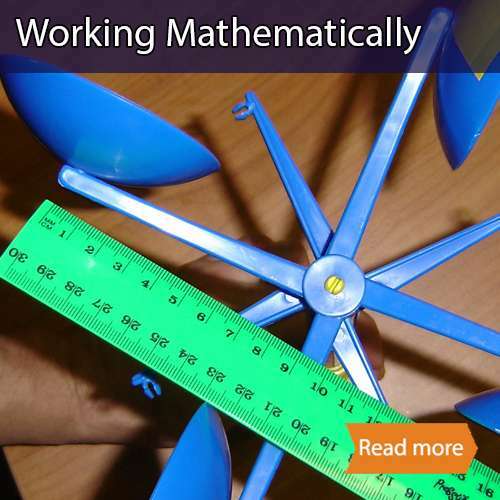 Combine music and mathematics by making a Pi symphony! Each number could be a clap, a click, a stamp of the foot or whichever you choose. How many digits can they repeat? What is the area of grass covered by a rotating sprinkler? How much further is the outside lane in on an athletic track compared to inside lane? Stand shoulder to shoulder and march in a circle. How much farther does the outside person have to travel? How many words can you list that start with letters Pi? There are many ways you can celebrate Pi with your students. Let us know some of the fun ways you’ve taught about Pi in your classroom in the comments below!